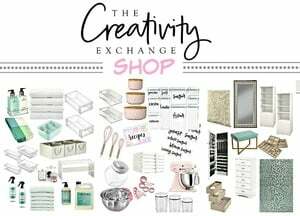 I know there are so many holiday gift guides floating around Blogland that I really hesitated to do one myself. 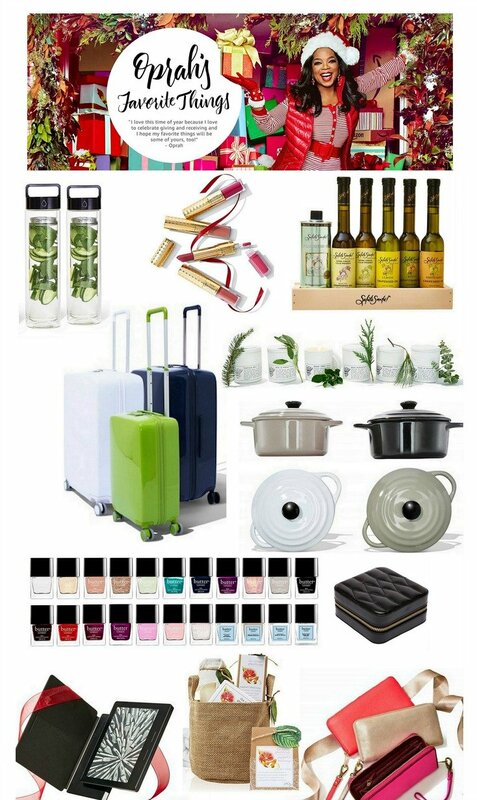 So, this year, I’m doing something a little different that I’m calling it a “treat yourself” gift guide with a list of some of my favorite things to suggest for treating yourself. While these items would also be great gift ideas, someone out there needs YOUR holiday wish list. These are some little luxurious suggestions to either put on your wish list or treat yourself! If you’re not familiar with Fresh beauty products, you absolutely need to familiarize yourself! It’s really amazing stuff! 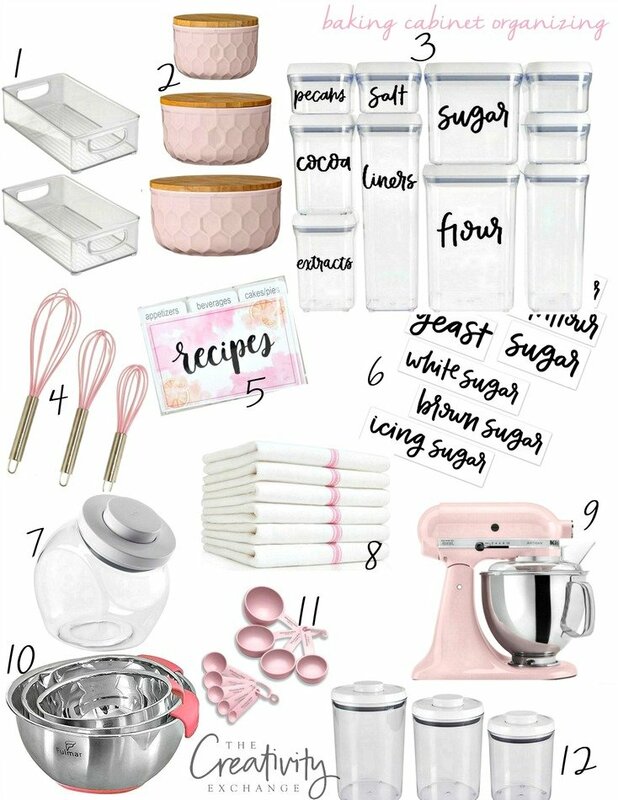 I’m obsessed with pretty much anything made by Fresh (affiliate links) and I have found myself pretty much switching to the whole line as I keep trying new products. If you try anything from Fresh, I highly recommend the their Soy Facial Cleanser. This is how I discovered Fresh because of this face cleanser. It’s the only face cleanser that I have been able to find that gets my makeup completely off, while seriously hydrating my face (but not in an oily way). It feels so luxurious to use. While it is more expensive than other cleansers, a little goes a long way and my face looks so clear and fresh! 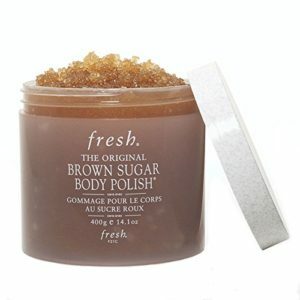 If you really want to treat yourself, the Fresh Brown Sugar Body Polish is seriously life changing. The combination of brown sugar and citrus smells amazing and works wonders. I always buy the big tub here but there is a much smaller size as well here. For the last two years, I have stopped wearing lipstick and all I use now is Fresh Sugar Lip Therapy Lip Tint. You guys all probably know about this but if you don’t, it’s hands down the most amazing and hydrating lip tint out there! While the colors look like they would be so bold, they’re not at all because they are sheer. However, you can intensify the color by layering. So don’t let the bright colors scare you. 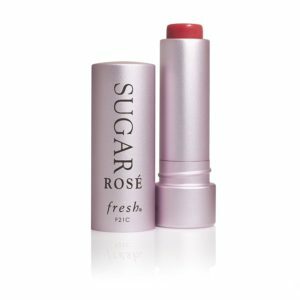 I have used almost all the Fresh Sugar lip therapy colors and they are all so gorgeous on. On my Christmas list this year is this set of colors. Poppy, Berry, Rose and Ruby will look beautiful on anyone. Just a little color and a lot of hydration! I have several favorite candles that I just love. 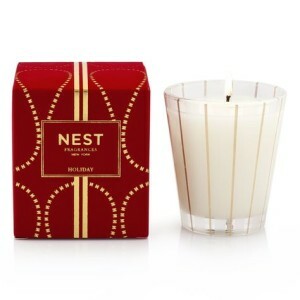 My favorite holiday candle I mentioned when I shared Oprah’s Favorite Things here is the Nest Holiday Candle that is also the #1 bestselling candle on Amazon! It’s pretty much the most amazing scent ever! 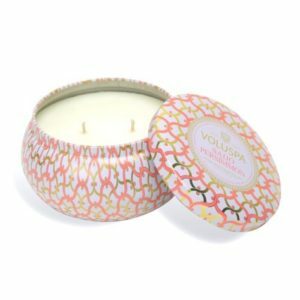 My favorite everyday candle for the rest of the year that I use throughout my home are those made by Voluspa . I have tried pretty much every scent and they are all so incredible (I love the tins too!) Right now, my favorite is Persimmon. For travel, everyday and organizing, I have been collecting the signature striped Henri Bendel bags for several years now. They are heavy-duty well made bags that are beautiful and surprisingly inexpensive. All the bags can be monogrammed as well, which I always do. I love giving the monogrammed laundry bags as gifts because it’s something we wouldn’t necessarily buy for ourselves. As you can see, the prices are great on the Henri Bendel bags and I can tell you that the quality is very heavy duty, which is what I need for travel. Every year, I add a new bag/striped accessory to my collection. 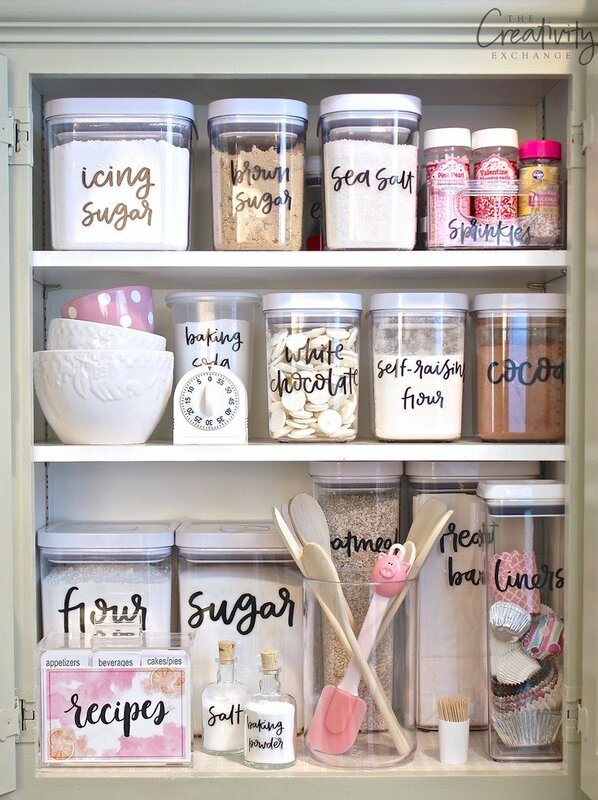 I also shared all of the product sources of all my favorite things in my pantry/baking cabinet and kitchen. Treating yourself with a gift of organization is a year-round benefit for sure! I hate to admit this but I don’t read novels much anymore. I’d rather read a great design books and I devour them any chance I get. In fact, I always find myself re-reading them all the time. 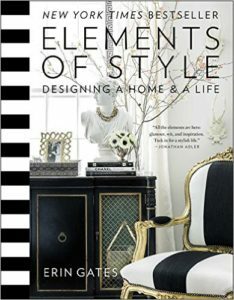 My all-time favorite design book is from Erin Gates called Elements of Style. It’s really so amazing and inspiring! Again, I’m sure most of you have Erin’s book but if not, trust me, it’s a special treat and you will devour this as well. I love her list of her favorite paint colors. 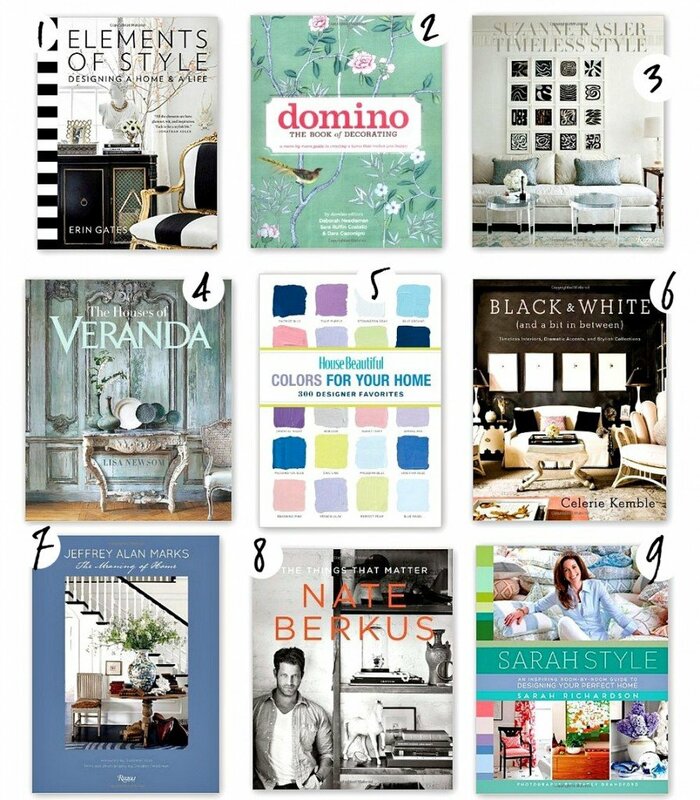 These are all my favorite go-to design books that I could not live without! 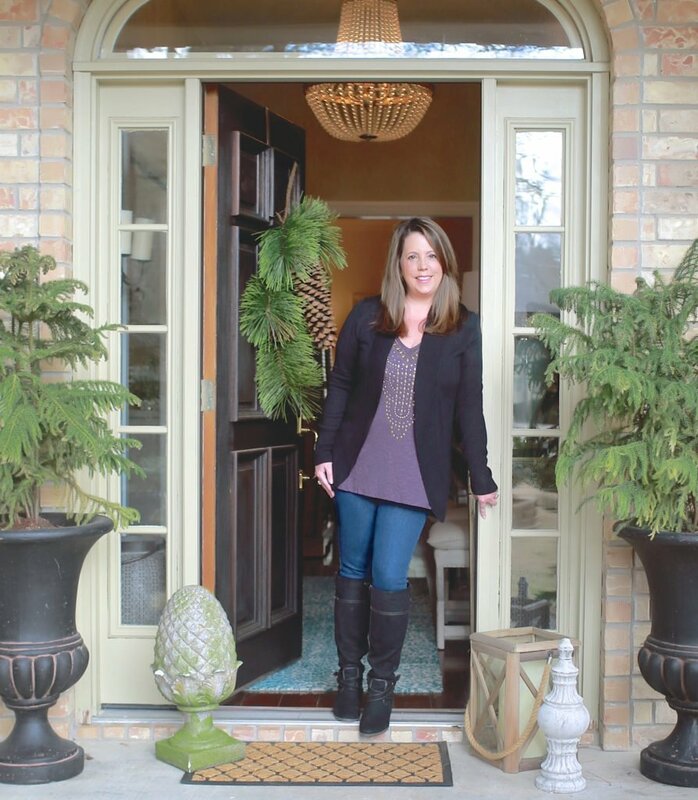 I’m not much of a fashionista these days but I do have some favorite things that I LOVE and wanted to be sure and share with you. 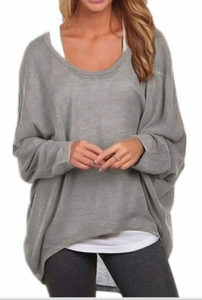 I’m SO obsessed right now with these Zanzea lightweight sweaters. 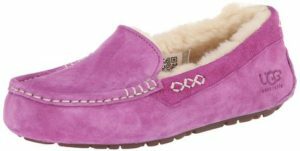 I have bought them in almost every color and they are so inexpensive! Like $15.00! They are great for dressing up or down and so comfy. I wear them religiously with my capri leggings. Be sure and go one size smaller because they run big!